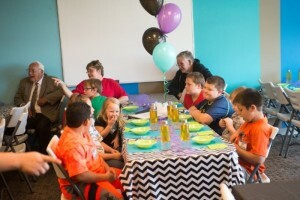 At the Terre Haute Children’s Museum, we know that birthday parties are a big deal! 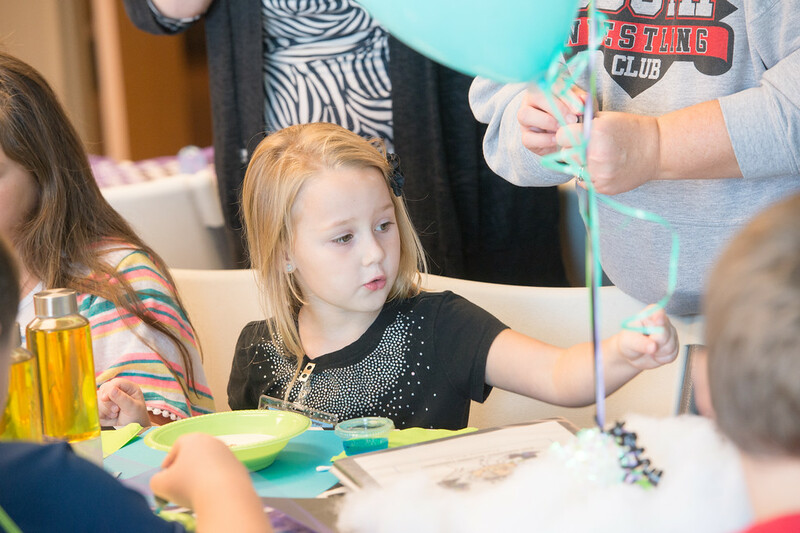 There’s no better way to make the day special than by hosting a Museum birthday party. Your child and all of your guests will have a great time, and since the Museum provides all the fun, you’ll have a great time too! cans, and when the party is over, will clean up and tear down. of guests on the guest list. For more information, please contact Patti Strong at pstrong@terrehautechildrensmuseum.com or (812) 235-5548. 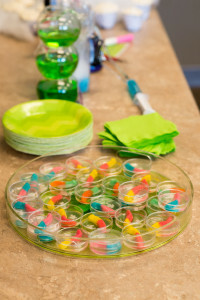 A guest list needs to be provided prior to the start of your party. 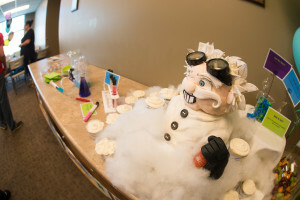 Guests include adults and children ages 2 and up. Memberships are not valid for birthday parties. We will need a minimum of two-weeks notice before the event date as well as a $25 non-refundable deposit. Costs vary depending on the size of the room that you book and your number of guests. To learn more and book your party contact Patti Strong at pstrong@terrehautechildrensmuseum.com or (812) 235-5548! The Museum is also available for baby showers, Halloween parties, business meetings, Girl Scout or Boy Scout meetings and workshops. Please contact Patti at pstrong@terrehautechildrensmuseum.com or (812) 235-5548 for details. Email us at info@terrehautechildrensmuseum.com with your children's names, birthdates and address. They will receive a birthday greeting and coupon for a free admission with one paid adult to the Terre Haute Children's Museum the month of their birthday. Limit one coupon per person for children ages 1 to 12 years old.